Most research in the natural sciences passes through repeated cycles of a analytic reduction to the next lower level of organization, then resynthesis to the original level, then new analyticareduction, and so on. A residue of unexplained phenomena at the original level appears at first to require a “holistic” description independent of the lower level, but the residue shrinks as knowledge increases. 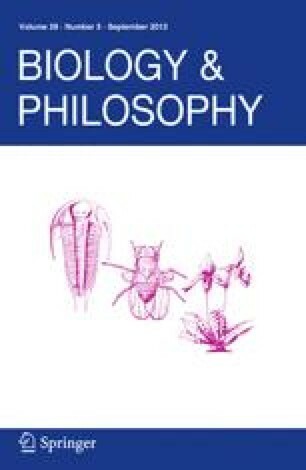 This principle is well illustrated by recent studies from the social organization of insects, several examples of which are cited here. In theory it should also apply to human social organization. Culture is biological: meaning in culture can be approached as the outcome of mechanism-based causation, because culture stems from individual cognition, which has a biological basis. It would seem to follow that the most effective way to study culture is across all levels of organization from gene to society, passing repetitively through a cycle of reduction and synthesis in the manner of the natural sciences. Reductionistic analysis is favored by the tendency of semantic memory and culture to occur in discrete units that are arranged hierarchically. 1.Museum of Comparative ZoologyHarvard UniversityCambridgeU.S.A.